“Governor’s Road” now available on Audible! “The terrorized children of Governor’s Road grew up without resolution or closure to the most devastating event of their young lives. Their friend, a child their age, disappeared one afternoon and somehow, they never seem to learn what happened. Saddened parents decide to protect their children, and the obvious fear recedes in the face of the calm that settles back over the neighborhood. But, fear never really disappears until it’s confronted. As adults, JoBeth and Billy set out to discover what happened to little Petey Shiner. The answer brings them to the conclusion that there is no perfect childhood, even in a perfect town in a perfect decade. Every town hides its secrets and puts on a good face, even at the expense of its residents. To listen to a sample and/or purchase the book, please visit Audible here. 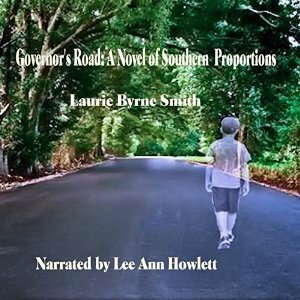 Posted by lahowlett on November 25, 2015 in Uncategorized and tagged American fiction, audiobook, Governor's Road, Laurie Byrne Smith, mystery, North Carolina, southern fiction.